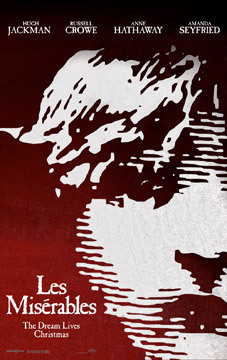 Les Misérables DVD and Blu-ray Detailed. 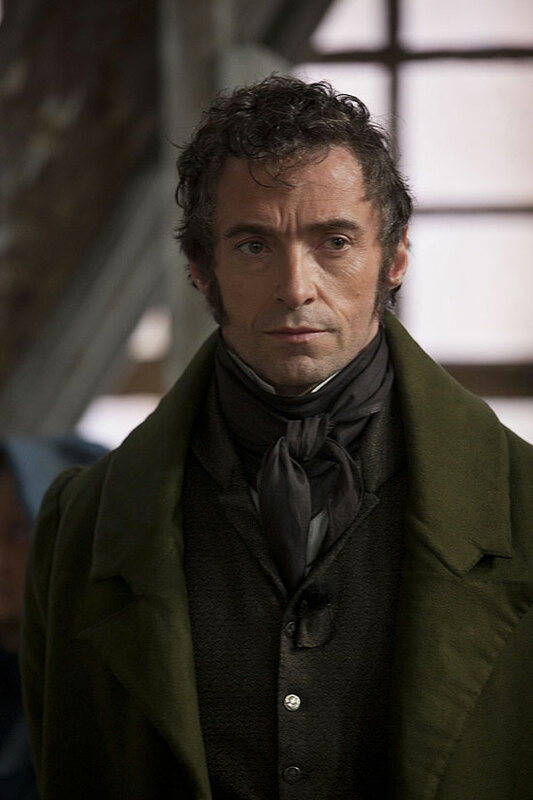 Hugh Jackman, Russell Crowe, Anne Hathaway and Amanda Seyfried star in the new adaptation of the successful stage musical based on Victor Hugo’s classic novel. 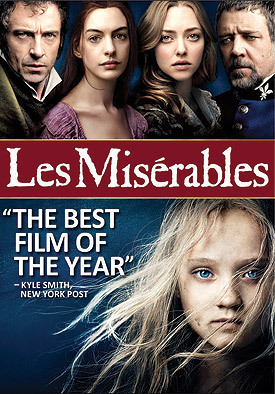 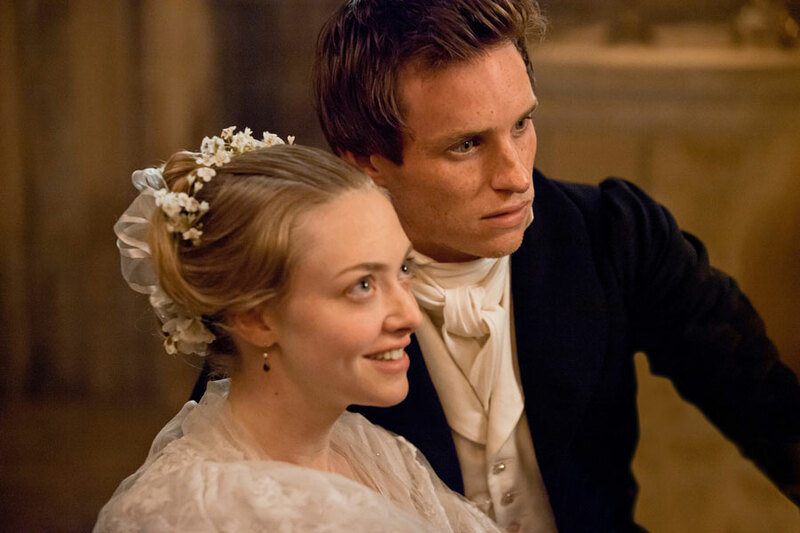 See the DVD and Blu-ray special features, movie trailer and photos for Les Misérables below. The story centers on Jean Valjean (Jackman) an ex-convict trying to build a new life of nobility and raise factory worker Fantine’s (Hathaway) young daughter, Cosette (Seyfried). 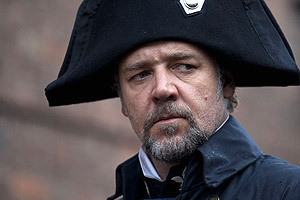 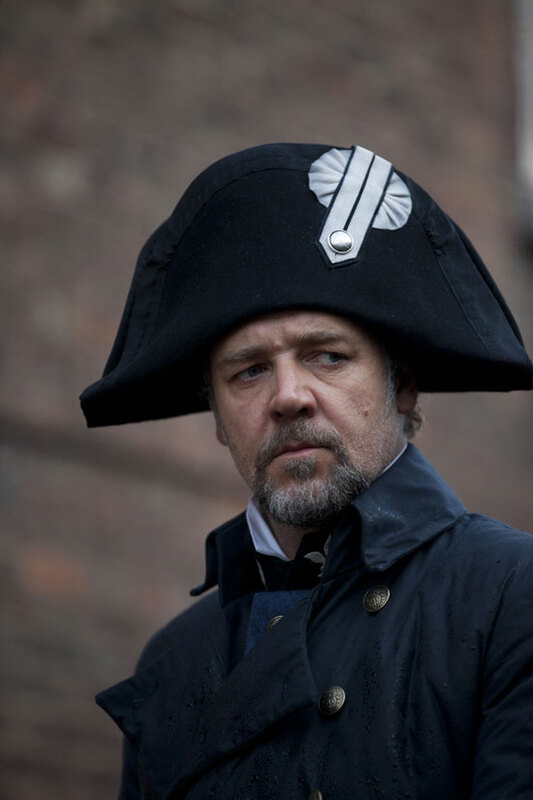 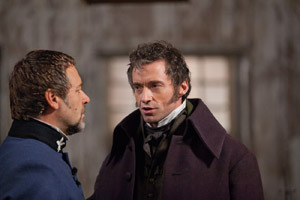 All the while, Valjean is relentlessly pursued by the callous Inspector Javert (Crowe), who doesn’t intend to let him escape his past. 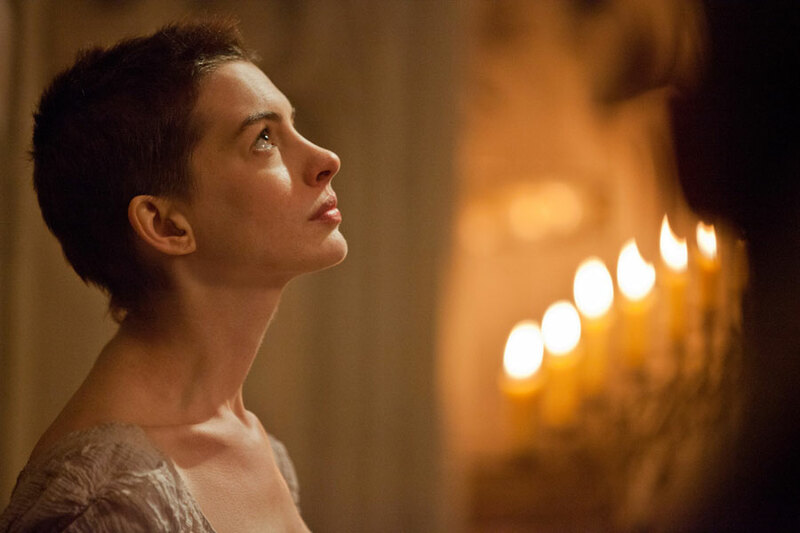 MPAA Rating: (PG-13) for suggestive and sexual material, violence and thematic elements. 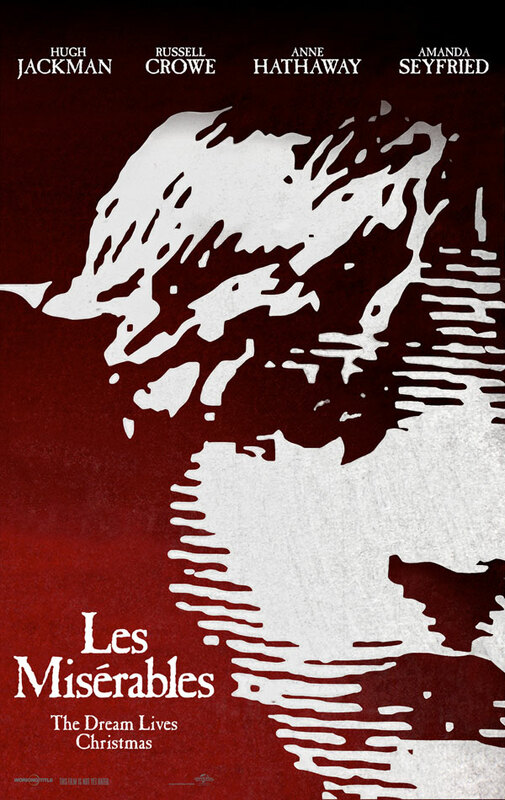 Set against the backdrop of 19th-century France, Les Misérables tells an enthralling story of broken dreams and unrequited love, passion, sacrifice and redemption–a timeless testament to the survival of the human spirit. 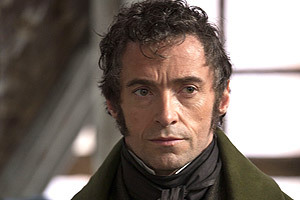 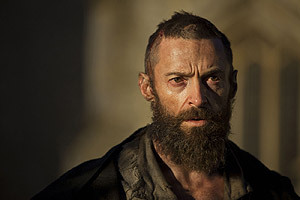 Jackman plays ex-prisoner Jean Valjean, hunted for decades by the ruthless policeman Javert (Crowe) after he breaks parole. 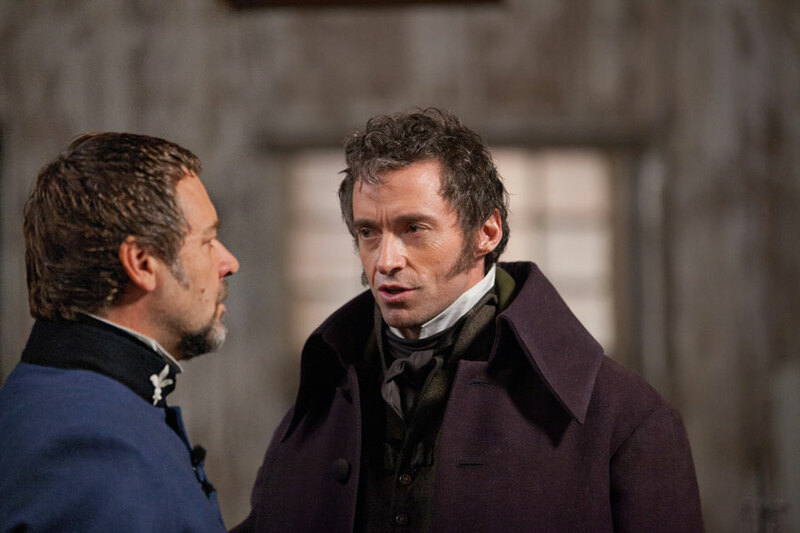 When Valjean agrees to care for factory worker Fantine’s (Hathaway) young daughter, Cosette (Seyfried), their lives change forever.